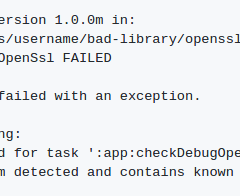 This is a simple executor, sometimes the default `exec` task does not work as expected. 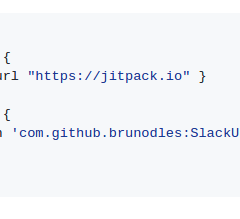 A plugin to send files to slack. 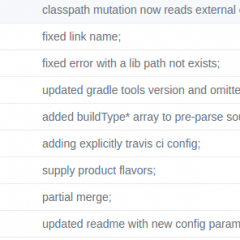 A Gradle plugin for checking whether an .apk or an .aar contains OpenSSL versions with known vulnerabilities. 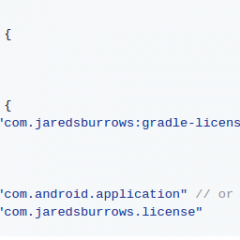 gradle plug-in adding supports of AspectJ into Android project. 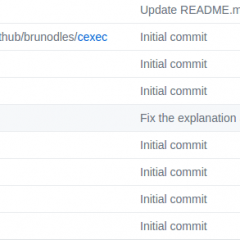 The plugin has been used on the mogujie app, the apk size is reduced by 1MB (the original apk size of 40MB), the number of DEX reduced by 3. 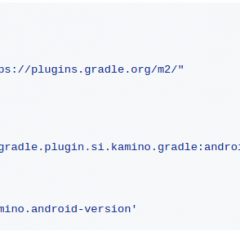 A Gradle plugin for building Java and Android-based ROS2 projects. 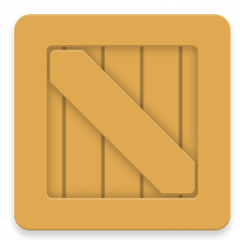 Compile time safety for Android assets. 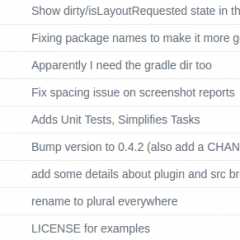 A gradle plugin for Android projects that allows for dependencies from git repositories. 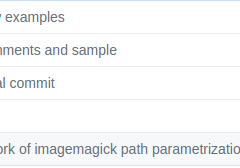 screenshot-test-for-android is a library that can generate fast deterministic screenshots while running instrumentation tests in android. 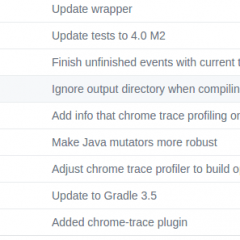 A tool for gathering profiling and benchmarking information for Gradle builds. 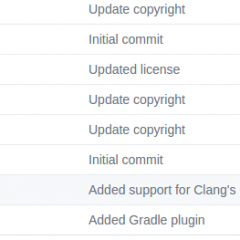 Kotlin language support for Gradle build scripts. 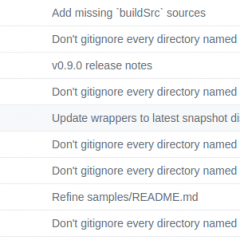 Gradle script for downsizing Android resources in debug builds. 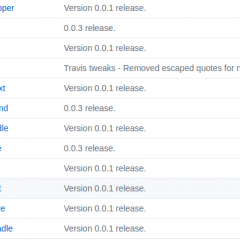 Gradle release & version management plugin. 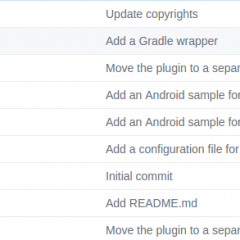 Android Version plugin is a gradle plugin that helps managing version for Android projects. 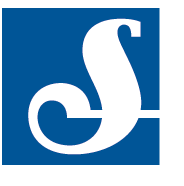 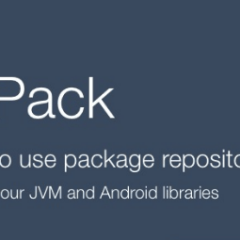 Base repository to demonstrate the process of uploading an aar/jar to JitPack. 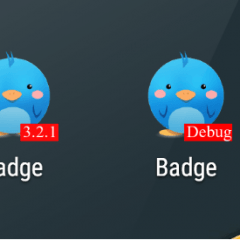 Add badge(version code, version name, etc) for your DEBUG APK. 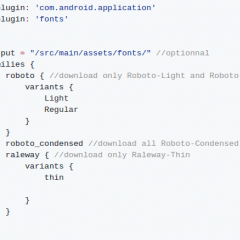 Define the fonts of your Android project directly from the build.gradle. 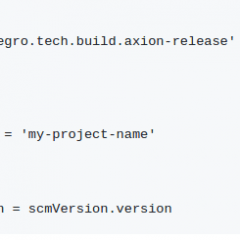 A Gradle plugin that makes databinding work well with appcompat.